We've made it to Thursday everyone! And a happy day it is over here! 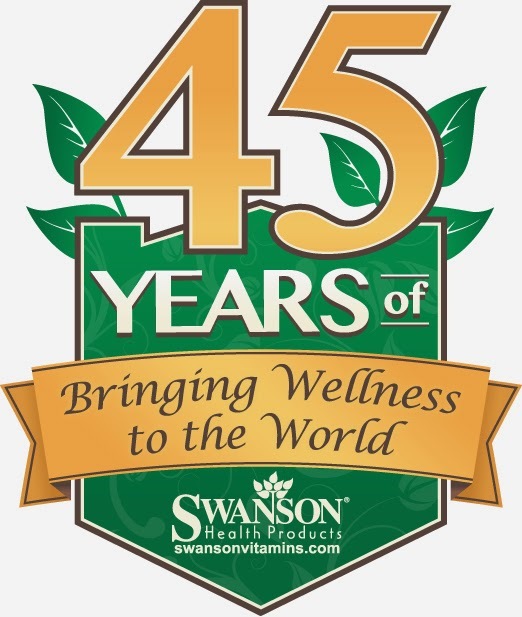 Today, I've teamed up with one of my favorite companies, Swanson Health Products to celebrate their 45th anniversary week! They were kind enough to send me a whole assortment of baby supplies, including some mama-to-be necessities (one word: breastfeeding!) the other day, and now they are offering YOU a chance to win a $45 Gift Certificate! That's $45 to spend any way you'd like. Don't have kids and not pregnant? No worries, you can spend it on anything. Stock up on vitamins, Quest bars that I'm always mentioning, or baking essentials-they have it all! Or maybe you are newly pregnant like me and are wanting to stock up on some products you've heard about? Now is the time, ladies! This giveaway will be open until Sunday evening and the winner will be notified via email. GOOD LUCK!! *Also, check out Swanson’s Sweepstakes page for a chance to win 45 Healthy Foods and $500! I'd spend it on baby supplies for sure, with 5ish weeks to go there is always something left to buy! I'm pregnant with our first so I'd spend it on all things baby! Granted I have NO idea what I need to buy. I'd spend on baby supplies - which I will need in about 8 months! Love Swanson products! Would use for the Biotin! I'm not expecting yet, but I would like to load up on some great natural beauty products and some biotin! I would love to win this! I am due in three months and could definitely use it toward baby bath products. Love Burts Bees. I would get vitamins and I love Burt's bee! I would get vitamins and body products!! Swanson Health Products are the best! I would stock up on Burt's Bees! You can't go wrong with Burt's Bees and I could easily spend it all on their products, but I would probably look into some vitamins as well. With a 1 month old, I'd definitely spend it on baby products! Vitamins and gifts for my cousin who's a mom-to-be too! Would so use it for the aveno washes and creams. My son has allergies and can only use the aveno baby at 10years old! On our impending arrival, of course! I'd spend it on our December baby! i need to restock my pumpkin seeds, chia seeds, cashews, etc! I would spoil my sister in law, who is due in a week! I pick up some chia seeds or Avalon Organics lotion! I would buy some Yogi tea! I'd love to try some of this new baby stuff bc I've got a new baby on the way! I am such a big fan of the baby aveeno shampoo! My daughter had a slight case of cradle cap and I used a simple cradle cap shampoo and that and it hasn't come back since! I have to check in on the other supplies that are shown. Would love to win this - Due in September! Great giveaway! As a new mama, I have plenty of supply needs for utilizing that $45! 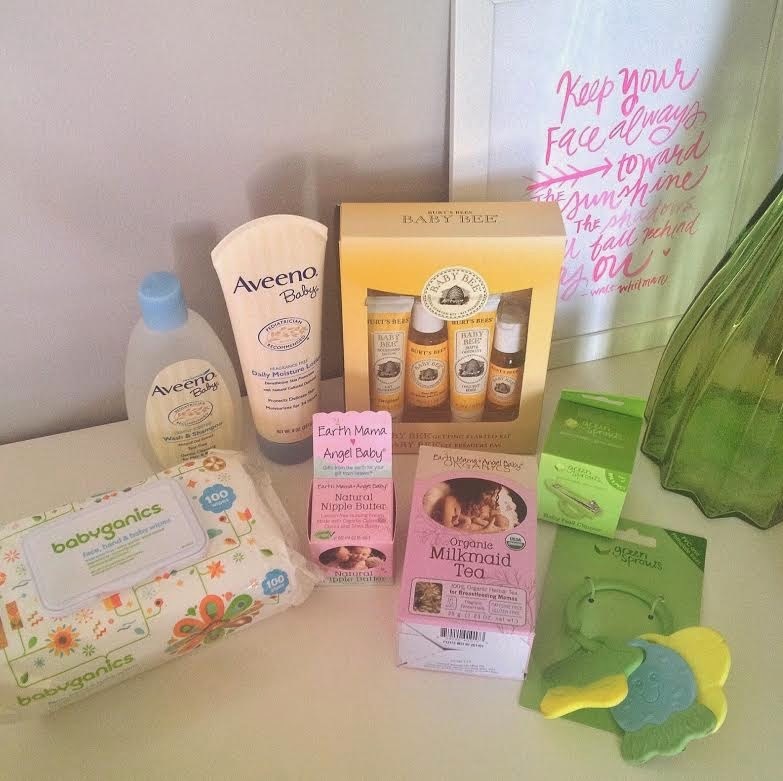 Especially love our Aveeno baby products! I would really like to get some chia seeds and almond butter. I'm all about this giveaway! Thanks!! Forgot to say I love Burt's Bees products! I'm using their mama bee belly cream and love it! I don't even know what I'd spend it on - something baby for sure! I could shop for that kid all day long! I'm not expecting....wish I was...lol...But I would buy more of Swanson's pea protein powder...it's unflavored without any additives and blends perfectly into my morning smoothies! Im due in November, so I would buy my baby boy something goodies and for me, I would try a new nut butter. Thanks! I'd spend the $45 on magnesium, vitamin D3, nut butter, etc! Thank you for hosting the giveaway! I'm 19 weeks pregnant, so any of the Earth Mama/Angel Baby products would be great! I think I'd definitely stock up on quest bars with this!! Love your blog! I am currently 19 weeks pregnant and so glad to be following someone who is on this wonderful journey as well! I would buy lots of coconut oil! I would buy coconut oil, peanut butter and coffee! I would get baby supplies and definitely some coconut oil, I've been meaning to try that stuff! I would get a lot of vitamins. I would give the gift card to a friend that is expecting and doesn't have much money! I would stock up on pregnancy necessities!! I would order some Garden of Life Raw Meal! I want to try some of their baby products. And I would love to try the mother's milk tea that you got! chia seeds, tea and random other things!